Automotive, the Project 12 way. The most technically advanced carbon fibre finishing in the UK. Components adorning the most prestigious vehicles created today and tomorrow. Constantly pushing the boundaries of our processes, achieving results that make our partners proud. McLaren, Aston Martin, Jaguar, Land Rover, Bentley… relationships built on the foundation of quality. 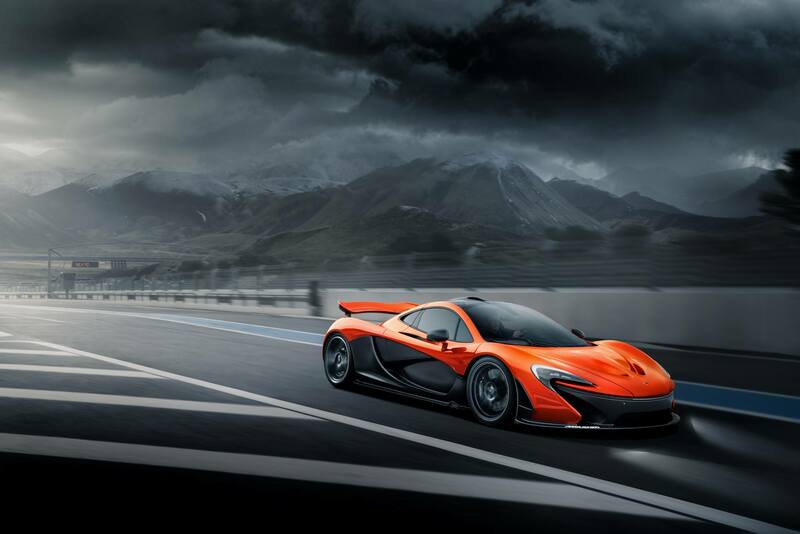 "Project 12's flexibility, adaptability and conscientious attention to detail have provided the foundation for McLaren P1 panels to be produced to the highest of standards"
Colour. It can transform any object. A happy customer and a stunning vehicle – both begin with choice. Showrooms across the UK from manufacturers around the world rely on colour and trim displays to help their customers choose the right combination of paint and trim finish. Project 12’s perfect colour coatings and obsessive attention to detail result in inspiring and accurate sales aids produced by our customer kms. When only perfection will do. Extraordinary detail, finish and beautiful design. Key in creating the world’s most beautiful yachts. Partnering the UK’s leading yacht builders, Project 12 spray coatings for carbon fibre help manufacturers achieve a truly bespoke experience for their customers. It’s all in the detail. "Project 12 has proven to be a perfect partner in producing premium quality composite components fitted to some of our finest yachts"
SplinterWorks was formed in 2009 and is a collaboration between Miles Hartwell and Matt Withington. Their mission is to create sculptural furniture that is engaging and inspiring. The flagship of the SplinterWorks Carbon Fibre product range, their hammock bath, takes stylish relaxation to a new level. Unlike most bath tubs, with flat bottoms and steep backs, the continuous curved surface offers an unprecedented level of comfort that encourages long luxurious bathing. The bath tub is made in England from carbon fibre, which is incredibly strong, and stays completely rigid even when fully loaded. Designed for use in a wet room, it is completely suspended from the walls and does not touch the floor. Alastair Gibson, acclaimed engineering inspired sculptor, trusts Project 12 to finish his most acclaimed works. Drawing similarities between modern motorsport engineering and his love for the natural world, Alastair uses his acquired engineering skills to show his passion for art through his signature medium of carbon fibre. Alastair’s work has been exhibited world-wide and his sculptures have been purchased by collectors in across the globe, you can see some of his work at Alastair Gibson | Carbon Art. "Cooper have a long history in the automobile and racing car business, we are proud to have Project 12 as our partners"
Working beyond limits. Making the impossible possible. Partnering the most creative minds of today, Project 12 embrace the unusual and empower visionaries to create the unthinkable. Our eye for detail and pioneering processes have helped produce stunning installations and exhibits across a variety of media. © 2019 Project 12. All Rights Reserved. Theme By: TidyThemes.